The third resolution on Sri Lanka to be taken up for vote at the 25th Sessions of the UNHRC now in progress, saw even Galaboda Gnanissara Thera, the “Gangarama podi hamuduruwo” as some call him, getting on the street in ugly protests. Gangarama Podi Hamuduruwo was not considered the type to have behaved as such. Before the protest, he is reported to have told his lay committee that President and MoD Secretary wish to see him lead the protest. For reasons never discussed, he had to oblige. That says many things beyond party politics. It says that traditional, temple based Buddhist monks are vulnerable to State power and not the other way round as often argued. That also says, the other band of monks who run around protesting at street corners have a different lustre. They base themselves on violent racist interventions, pushing out possible people’s protests on daily issues. A political necessity therefore, for the regime. This select band of aggressive Buddhist monks have in the recent past become formidable decision makers in society. with the ruling Rajapaksa regime acceding to their aggressive intrusions into policy making. They have perhaps cut across traditional “Orders” (Nikayas) within the monk society that strictly maintain organised “caste” divisions. Their brand of Buddhist politics has turned them into violent political street fighters, a completely different type of person though still clad in saffron robes to what Buddhists generally perceived as monks a decade or two ago. Changes in urban middle class life that helped shape Sinhala mindsets and attitudes catered to changes in monkhood and Buddhist religion too. They have in fact helped a new breed of young monks who have moved out of temples and into luxury city “Ashrams” to gain a novel, holy reputation with heavily market oriented rituals. But these had little influence in rural society. There it was still the traditional temple and the old rituals that dominated life. Thereafter, moving towards commercial centres in the provinces, traditional Buddhist religion gradually gained a commercial lift. Temple premises at times were rented out for commercial purposes, or the monks got into not so sophisticated small time business to have a comfortable life and luxury in the temple. Such was often tolerated by the laity there. They were also in their own way, getting into a competitive consumerist lifestyle. The recent violent trend within monks was very much Colombo centred. Except for a few, most monks take to politics that provide access to the ruling alliance for wealth and comfort that come only with political power. This political link between Buddhist monks and modern politics had to be theorised and justified. Political ideology for such indulgence was first discoursed about two and a half decades ago by Nalin de Silva, popularly termed as “Jathika Chinthanaya” – nationalist ideology. 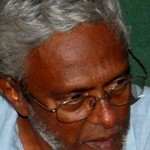 His interpretation of nationalism was the 2,500 year old “Sinhala” heritage that dominated history. Such heritage, he argued, justified the right for Sinhala dominance in State power. His interpretation had been previously qualified by giving Buddhist religion the status of the only religion with State privilege since 1972, under the first republican constitution crafted by Dr. Colvin R. de Silva. Thus, no lesser person than a Sinhala Buddhist, preferably from the nobility could fit into their project of governing this island nation. This was proven without doubt when senior lawyer S.L. 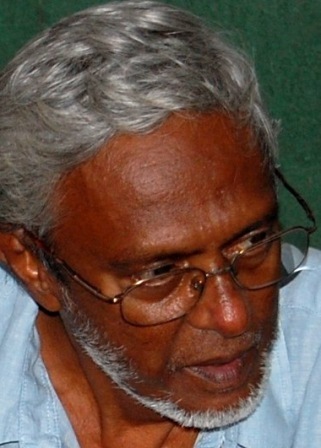 Gunasekera an avowed Sinhala racist was booted out on grounds he was Christian by faith, for Chamipka Ranawaka to be appointed the first national list MP from Hela Urumaya. The fault line in Nalin’s theory was that, he overlooked the role of extreme nationalism in a post WW II global order that left no nation on its own. The fact that in modern politics the State and government are both mechanism for implementation and a custodial designer of the national economy. Therefore when the market economy which was basically restricted to Southern social activity did not progress enough to accommodate healthy competition in daily urban life, the middle level trader and business community was compelled to seek a way out. The way out for the Sinhala Buddhist trader and business community was there in Nalin’s ideology. They needed access to State and the political process that governs the State to exclusively control the market. This explains why Sinhala trader associations in the suburbs of Colombo city are politically aligned to Sinhala groups and extremists like the JHU, JVP and even Weerawansa. Why such businesses keep backing this regime for patriotism, that is Sinhala. This also explains why Muslim businesses are targeted. This again explains why this brand of Sinhala extremism invariably rolls over to champion the types like Bodu Bala Sena (BBS) and Sihala Ravaya (SR). And why they become violent on streets and in public, raising anti Muslim slogans forcibly sticking conditions on society that intends to shift trade in favour of Sinhala business community. Though politically patronised by Sinhala extremism and perhaps by this regime that caters to Sinhala sentiments, this nevertheless has now crossed the accepted and tolerable limits within Sangha society and its elders. A clear contradiction between political activism and disciplined monkhood. Recent discourses and then the final decision on how far a Buddhist monk could go political in public life, taken by the Amarapura Sri Saddhammawansikha Maha Nikaya, one among the 22 chapters in the Amarapura Order, reflects this contradiction and growing sanity in sections of the Sangha society. Addressing the media after the decision was taken on 24 February, 2014 to ban political activism for monks in their chapter, Joint Registrar of the chapter Balapitiye Siriseevali Thera said, the issue was extensively discussed and argued within the Committee of Monks in their chapter before a decision was taken. The Reverend Thera also said the decision was unanimous. Explaining the decision, Siriseevali Thera said, contesting elections, participating publicly in political agitations, taking part in protest marches and rallies, getting into fights with the police and such indecent acts that degrade and insult monkhood, are banned. Two weeks later, another Amarapura chapter, Amarapura Dharma Rakshitha Maha Nikaya announced they would also decide on banning politics for their monks. Making this decision public, the chapter’s chief prelate Thirukunamalaye Ananda Thera said, “Even during ancient time, monks did not take to ruling the people in saffron robes. There is mention of one or two, who left the robe and took up State roles.” Amarapura seems to lead a comeback to saner and disciplined life in saffron robes. In today’s terms, this decision is a historic decision. The origin of the Amarapura Order by itself was a dissenting intervention in monkdom and was a historic decision. In 1753 the Shyamopali Siyam nikaya was established with King Keerthi Sri Rajasinghe facilitating the arrival of Thai monk Upali, on a request made by Welivita Saranankara Thera. In 1764, the heads of this Order by then divided as Asgiriya and Malwathu chapters decided, this ordination brought from Siam was exclusively for the Kandyan nobility. The Low Country monks were thus denied higher ordination from Siyam nikaya. There were two attempts made by the Southern monks in gaining ordination from the Shyamopali Siam Order in 1772 and 1798 by organising ordination festivals in Thotagamuwa Viharaya and in Tangalle respectively, that were totally disregarded. A dissenting group of monks led by one from Balapitiya, Welithota Gnanawimalatissa Thera, broke all norms and went on their own to Burma to receive ordination from the chief monk in Amarapura. In 1803 Gnanawimalatissa Thera arrived and established the Amarapura nikaya on Wesak full moon day with a festival held on a platform of rafters in Maadhu river. This broke all traditions. This was the first time in our history, the monks broke off from the Sinhala crown. They were funded by a group of Southern traders, against the will of the then maritime ruler, the British. Amarapura Order thus began as a dissenting Order, not recognised by the Upcountry king and the Shyamopali Siyam nikaya monks. But accepted in the South among low country lay Buddhists in the maritime provinces. Now, almost 2011 years after, with this decision to discipline monks against the wish of the ruling regime and its Sinhala political allies, the two Amarapura chapters have thrown a challenge at all those who claim they are “good Buddhists”. One, if they would take the call from these chief prelates and their chapters in demanding monks leave politics, for the secular society to decide politics. Will the laity now tell their Temple chief to stop dabbling in politics ? This does not require a political leadership and is outside the potency of direct opposition politics. If the lay Buddhist society don’t intervene, it now means, the lay Buddhists don’t respect their own religion and don’t even bother how decent and discipline their monks are. Two, how will those “Left” political shades that totally disagree with the Sinhala tribes like JHU, JVP and Weerawansa, canvas support for Maduluwave Sobhitha Thera as a common presidential candidate ? How will they make the difference between their choice of Sobhitha Thera as a presidential candidate and other political monks who are now told, politics is taboo for monkhood ? Three, what is Sobhitha Thera’s stand on this taboo laid on politics for Buddhist monks ? Sobhitha Thera made it public he is prepared to be the “common” presidential candidate, at the next hustings. Will he therefore discard the decision banning politics for Buddhist monks ? If he does, he would also contribute to the violent politics of the street fighting saffron robes by accepting monks could be in politics, while the brand of politics for each can then be different. In short, this decision by the two Amarapura chapters have thrown out a challenge to the Budhists in Sinhala South. Will they respect their own religion, if they are Buddhists ? If they take up this challenge positively, it would certainly mark a new phase in Sri Lankan politics, not only in the South, but in the whole country as well. For that essentially deforms the Sinhala extremist platform. Press Council Raises Its Ugly Head Under Yahapālanaya!